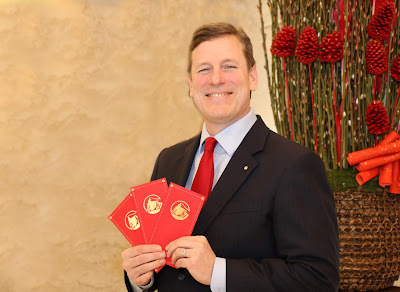 TAIPEI, TAIWAN, JANUARY 29th, 2019 — Chinese New Year is always a great time for people to plan for the year ahead and make wishes. Like the chosen word of 2019 — change (變) — suggests, people are hoping for changes to improve their lives. To get off to a good start, Prudential Life Insurance of Taiwan (Prudential of Taiwan) is ready to introduce Financial Wellness — an innovative approach to financial planning. The Financial Wellness education program will be the first of its kind in Taiwan, and it is designed to help Taiwanese people have a better life and achieve their financial goals. Among the various New Year planning, finance can be among the most challenging and important topics people face. Recent surveys show that, in Taiwan, people who are close to retirement age often find that they have not prepared well enough for their retirement life or feel that their lifestyle may be limited. The younger generation has different problem though; they are struggling to make ends meet, let alone save for retirement. However, both groups know that they are short of adequate financial knowledge to make plans and take actions. The end of the year is also a time that companies reward the employees. “Giving a year-end bonus is well and good; however, we encourage employers to take a step further, to consider providing benefits like financial education to employees. Helping your employees to build a sound concept towards their own finance is even more meaningful and lasting. When employees can deal with their financial needs in life, they can then be more focused on work. It is a win-win for both employers and employees.” Tyson stated. Prudential first launched its comprehensive Financial Wellness program in the United States in 2014. “Globally, Prudential is investing more than USD$100 million annually to support Financial Wellness,” Tyson said. 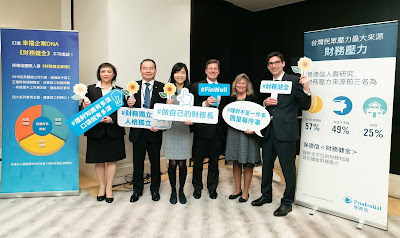 With proven success in the U.S., Prudential is going to leverage this experience in Taiwan and will offer a financial education program in Taiwan that helps employers show how much they care for their employees’ wellbeing. “I believe that an effective Financial Wellness program is a vital means of addressing people’s financial issues.” Tyson continues. Prudential of Taiwan urges employers and associations to include a Financial Wellness program as a core benefit to help improve financial security in the communities we work and live. For more about Prudential of Taiwan’s Financial Wellness program, please call 0800-015-000.